Sarah Palin at a fund-raiser in Hamilton, Ontario, April 15th. I am posting this only at the special request of Californian Trevor Losh-Johnson, who will be joining the graduate program at McMaster in September and was curious to know how the Palin appearance played here. Well, you can see by the photo that she’s turned writing on her hand into Christianist shtick. If you want to know how the Hamilton Spectator covered the event, you can read its headline story here. Hamilton’s NHL ambitions have the support of Sarah Palin. The former Alaska governor, in town last night for a fundraiser at Carmen’s Banquet Centre that raised $50,000 for a children’s charity, was at the Sheraton hotel in downtown Hamilton before the evening event. “I’m overlooking Copps Coliseum and I thought, what a great place for an NHL franchise,” she told a sellout crowd of more than 900 people at the east Mountain banquet centre. “You’re all set up for it,” she said to applause. 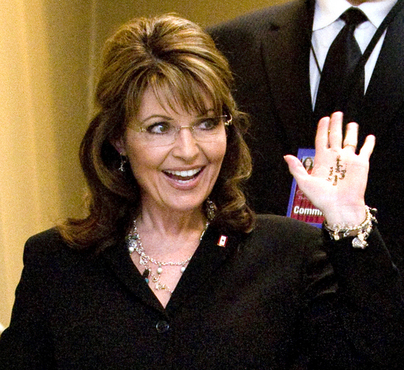 “If I ever meet the president of the NHL, I’ll put a little bug in his ear,” Palin said. That about capture it for you, Trevor? To be fair, you can read Spec columnist Jeff Mahoney’s very funny “sneak peek” at her speech here — which perhaps confirms that satire may now be more relevant than what otherwise passes for news. Bill Maher on the whole writing-on-the-hand thing after the jump. This entry was posted in Picture of the Day on April 18, 2010 by Michael Happy. 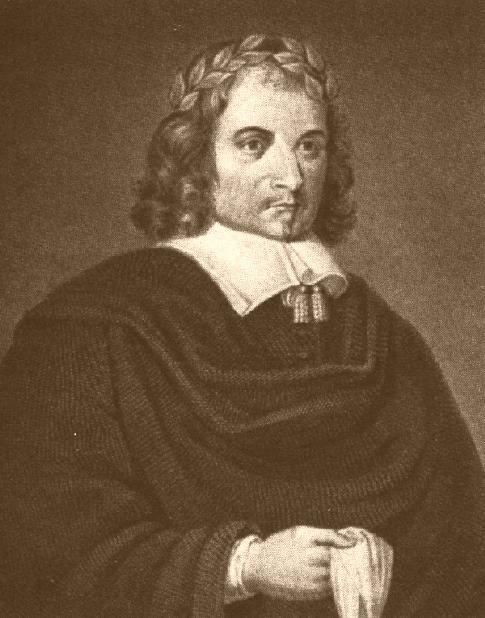 Today is playwright Thomas Middleton‘s birthday (1580 – 1627). I once joked to a prof that if there’d been no Shakespeare, we’d be reading Middleton by default. Not meaning to diss the birthday boy but, the impressive output notwithstanding, we got the better end of the deal. Trailer for a current English production of The Changeling after the jump. This entry was posted in Birthdays, Notebooks, Video on April 18, 2010 by Michael Happy. Update: Andrew Sullivan has been running a discussion on Christ and sexuality at his blog; you can pick up the thread here. This entry was posted in Quote of the Day on April 18, 2010 by Michael Happy.